PHILOSOPHY AND SPORT might not appear immediately to be obvious bedfellows, but sport has often captured both the intellectual and personal imagination of innumerable philosophers throughout the ages. From Albert Camus’ love of football, and time playing as goalkeeper for Racing Universitaire d’Alger (spawning the famous declaration that: “after many years during which I saw many things, what I know most surely about morality and the duty of man I owe to sport and learned it in the RUA”) to Jacques Derrida’s notoriously perplexing and gnomic formulation “there is nothing beyond the touchline” (neither certainty nor truth, just le terrain and le foot)—philosophy and sport have often been entangled in an intersectional and productive relationship. The Bloomsbury Companion to the Philosophy of Sport features specially commissioned essays from a team of leading international scholars. The book, by providing an overview of the advances in the philosophical understanding of sport (and related practices), serves as a measure of the development of the philosophy of sport, but it also constitutes an expression of the discipline’s state of the art status. The book includes a critical analysis of the historical development of philosophic ideas about sport, three essays on the research methods typically used by sport philosophers, twelve essays that address vital issues at the forefront of key research areas, as well as four essays on topics of future disciplinary concern. The book also includes a glossary of key terms and concepts, an essay on resources available to researchers and practitioners, an essay on careers opportunities in the discipline, and an extensive annotated bibliography of key literature. Norman E. Bowie, Professor Emeritus, University of Minnesota, USA. Claudio M. Tamburrini, Senior Researcher, Stockholm University, Sweden. 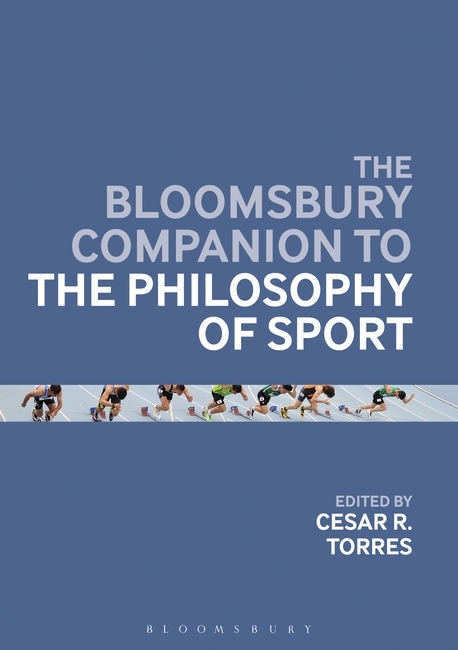 This entry was posted in Books and tagged Bloomsbury Philosophy, Cesar Torres, Philosophy of sport. Bookmark the permalink.